Just this week I saved $5,000 by reviewing my expenses and changing one of my suppliers. I wouldn’t have been prompted to do that if I hadn’t been using Calxa’s cashflow forecast. Chris Booth, founder and CEO of The Herb Booth, was growing increasingly frustrated with the amount of time he was forced to spend on spreadsheets to forecast his cashflow. To sum it up, with a young, growing business he had a tight budget but was in real need of an accurate, time-saving financial reporting tool. Calxa Express proved to be the solution to his problem. The ability to foresee in advance when cashflow will be short is a great advantage to Chris. As a result, it enables him to be proactive in identifying potential cash shortfalls and then take action in advance to rectify them. When applying for a bank loan recently, Chris’s bank was very happy with both the presentation and the accuracy of his cashflow forecasts. In the past he would have spent days making his spreadsheet readable and presentable and trying to make it consistent. Now, all he has to do each month, is open Calxa Express, run a report and print it. The Herb Booth is a convenient and reliable online provider and dispenser of Chinese herbal medicine – Australia’s only GMP licensed dispensary. The Herb Booth aims to save practitioners time and effort associated with dispensing their own herbs, while still allowing them to earn an income from the prescribed herbs, leaving them more time to spend doing what they enjoy most – caring for their patients. Calxa is a very important tool in our systems, and has become integral to our overall management reporting systems. Shelley Green from Green Eggs was first introduced to Calxa through Paul Drendel of Capitis Accounting Solutions; one of Calxa’s Accredited Partners. Shelley is glad she took Paul’s advice and has since discovered the many advantages that the software offers her business. Initially, she used the scenario testing features to evaluate the many different directions her business could take. As a result, the customer base for Green Eggs has shifted away from a wholesale market, to selling the products directly to end users such as restaurants, hotels and family shoppers. Primary producers, such as Green Eggs, typically struggle with highly erratic cashflow and are exposed to a high number of variables. Shelley has found that forecasting cashflow reduces uncertainty and helps her make informed business decisions. Calxa has contributed to the success of Green Eggs. “We have had rapid growth in the past 10 years, with substantial capital improvements. Cashflow is important to us, and Calxa helps monitor this very easily, and also lets us establish what level of borrowing we may require for any further capital works. We can easily produce scenarios for our lenders, to demonstrate that we have the capacity to service our loans. With Calxa we are able to produce up-to-date reports and an analysis of our actuals versus what we had budgeted.” said Shelley. “We know that a high growth business can struggle with cashflow, and while it may be profitable, it may not have enough cashflow to survive. We have invested too much in our business to let this happen. We now have a huge range of customers that rely on us supplying our product, so the last thing that we want is to be in a position where we can’t adequately service their needs. Shelley and Allan Green, owner operators of Green Eggs, use sustainable and ethical farming practices to produce and provide fresh, quality eggs. 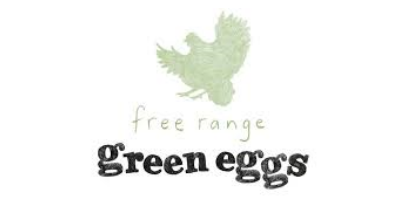 Their free range egg farm has received a number of awards including 2006 Weekly Times Farm Business of the Year, 2008 Champions of the Bush “Spirit of Entrepreneurship Award” and more recently the 2009 Gold medal – Vogue Entertaining and Travel Producer Awards. They are great believers in providing a good product to their customers as well as applying good practices in managing their business to remain sustainable in a challenging market place. I adore Calxa and the more I use it the more I discover. Calxa allows us to produce a variety of easy to read reports that show several different factors at the same time. This makes it easy when presenting to the board and people who may not be familiar. Long term DonorTec recipient Lynda Little of The Place: Charlestown Community Centre, recently discovered how quick and easy it is to produce accurate and meaningful budgets and financial reports. Thanks to Calxa she is now able to provide the board with easy to read reports. And, as a consequence, also saving many hours during reporting periods. Getting Calxa was simple – just five days and a few simple steps is all it took. 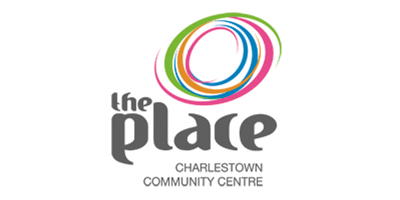 The Place: Charlestown Community Centre is the place where people from all walks of life have access to local and regional services including opportunities to participate in educational, developmental, and social activities. The not-for-profit community facility with a primary purpose of supporting active community development which is enabled through the mechanism of a financially sustainable social enterprise. The Place is located in Charlestown, Lake Macquarie, just 10 minutes from Newcastle. It offers quality space and state of the art facilities that’s are accessible to the whole community. Obtaining Calxa through DonorTec was a trouble-free process. We were kept up-to-date with how our application was progressing and we had the product installed and up and running very quickly. The Motor Neurone Disease Association of NSW (MND NSW) recently reviewed the way they prepare their financial budgets and reports. As a result, they have been able to improve productivity, with the help of Calxa. As a consequence, they now complete these tasks in significantly less time than ever before. Penny Waterson was originally introduced to the software by her IT consultant who told her about Calxa’s partnership with Connecting Up. “Obtaining Calxa through Connecting Up was a trouble-free process. We were kept up-to-date with how our application was progressing and we had the product installed and up and running very quickly,” said Penny. After getting the software up and running and reviewing some initial reports, Penny contacted the Calxa support team. In short, she wanted to find out more ways to improve the Association’s budget and reporting process. Above all, she has been very impressed with the personable service offered and the range of support available. “The Calxa customer service and support team has really been exceptional. They are interested, responsive, efficient and knowledgeable – just a phone call away, “said Penny. To assist her with staff training, Penny’s colleague Petra attended a Calxa Getting Started Webinar. After that, she is now much more confident in her knowledge of the program. “Calxa training and support has really helped us to feel comfortable with the software and understand its capabilities. Introducing the software into our accounting process is offering us improved reporting flexibility and has helped us to increase our overall productivity and improve the integrity of our reporting,” said Petra. In conclusion, Penny and Petra encourage any small not-for-profit organisation to apply for Calxa through Connecting Up. “The process of applying is simple and you’ll improve your reporting in only a few steps. The program itself does what Calxa says it will and is simple to implement,” said Penny. The Motor Neurone Disease Association of NSW (MND NSW) is an organisation dedicated to providing people living with MND and their families with support, information and equipment, to help them live better for longer with MND. 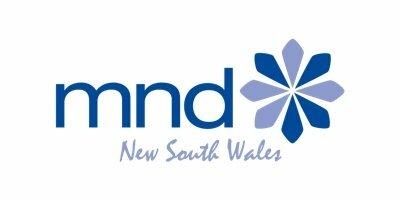 MND NSW has been advocating for people with MND since 1981. Their continued efforts would not be possible without the help of their dedicated volunteers and community support. 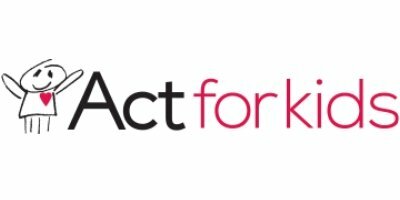 ACT for Kids is a non-profit organisation that provides free services to treat and prevent child abuse. The organisation was started in 1988 and employs 180 staff working from six major centres in Queensland and five safe houses. How would you describe the business you are in? We work with children, their families and carers, focused on children who have been subject to abuse or are at risk of abuse. We also run some workshops in schools to teach kids how to keep themselves safe from abuse. Our clients are children, young people, families and carers. ACT for Kids provides expert counseling and support to thousands of abused children and their families and carers every year. What changes are taking place in your category? The biggest change for us has been a greater shift to early intervention. Originally our work was about building awareness of the issues of child abuse, which tended to be swept under the carpet. The trust was set up by health and community workers who were witnessing the problem firsthand and decided to do something about it. Our early intervention programs are proving to be very successful. In the area of technology in our organisation, smart phones and iPads have made life a lot easier for our teams.. Our client database is now web based and staff can access it over a secure web interface from any location at any time. iPads are also proving to be useful and popular therapy tools for working with children. Kids immediately open up and respond positively to the simple and intuitive, touch screen interface and this makes iPads powerful support tools for therapy. Over the years, we have developed many programs that work effectively. We have a nationwide reputation for the work we do, and increasingly deliver good outcomes for both children and their families. What prompted you to look at the Calxa solution? We were frustrated with MYOB reporting capabilities. We have upwards of thirty different budgets at any one time. Because of the nature of the grants we receive from government, they all need reporting on separately. Government has significantly simplified reporting over the last two years, but we still have to manage each budget separately. Being able to report by program is important to us, and to our ability to manage each program effectively. MYOB can’t do that. It can’t capture budget information by program. You can capture a budget for the life of a job, but we need to report month by month. With Calxa, we can prepare a budget for each individual program, one for each head office department and one for fundraising. The fundraising department can budget for each campaign with a separate job code. It gives us immense flexibility and up to date knowledge of our budget status that we didn’t have before. Calxa is a powerful reporting tool, but you can use it to create budgets as well. Our managers create their initial budgets in Excel and then import them into Calxa. I like them to start from scratch with each budget, so they get a good overview of their activities and associated costs. We have an Excel template for initial budget development and the budgets are then imported into Calxa. I used to use a program called Money Manager, but it didn’t have the functionality that I needed. We were offered a trial of Calxa and I saw that it was a much better program. It was designed with non-profits in mind. The reports it generates look good and are easy to comprehend and interpret. That is far more important than it sounds. A clear, easy to read and understand layout can make a huge difference in the adoption and day-to-day use of a product. I can create charts and graphs that are simple for anybody to understand. Reports can be distributed to stakeholders in all commonly used formats quickly and easily. With other products, I had to scan reports for distribution. How did you decide which program to use? I had a trial version of Calxa to play with. Once I had used it for a while, compared it to other programs and saw how good it was, I just kept on using it. We then formally made the decision to use Calxa. The reporting restrictions of MYOB were a major problem for us. Calxa is far more useful and sophisticated. There is a whole suite of reporting modules in Calxa that can be used. I can report for a region, by program, by program type, by manager, by month or whatever I want. There is no way I could do this in Excel. I would need three more staff to manage it. The other key thing is that when you create a budget from thirty different budgets, you have to consolidate them into an overall budget. If you are building a budget like this using Excel, so much can go wrong and it’s easy to make an error with a formula. So you never have the confidence that something hasn’t been overwritten accidentally. With Calxa, consolidation is straightforward and you can see that nothing has been left out or misplaced. Creating a consolidated budget used to take forever. Now it is much quicker. The time saving is considerable. It was easy to get up and running with the program. Calxa is very intuitive. If you know how to use MYOB or Quickbooks and Excel then you will be able to use the program without any problems. At the start, Calxa ran webinars showing how to do the changeover. You could import data from Money Manager, MYOB or Quickbooks. Based on my experience I knew Calxa was a far better program, so I didn’t need any advice. In my previous working life I was an MYOB certified consultant, so I had heard of the program through my networks and past experience. Calxa support their program with webinars, by phone and email. They are very helpful with advice and training where required. What mistakes did you make that you wish you hadn’t? What were the main risks? There were no risks from my point of view. What advice would you give to somebody else? Using a product like this increases productivity enormously. It allows our managers to look after their own budgets. If we didn’t allow managers to be directly involved in the creation of budgets and management of spending, we would not be as effective an organisation as we are. You can’t expect managers to take full responsibility without giving them the proper tools to manage the job. I couldn’t manage the budgets from this office without Calxa. Without the product, I would have to double my immediate staff. Any questions that arise, I can answer them quickly and easily. If I am doing a report and I notice a variation in salaries, I can quickly create a report to look at this issue to understand why. You can’t do this in MYOB. I can even check the accuracy of the allocation of data in MYOB by doing a budget review with Calxa. That gives me immense confidence and assurance. There were no barriers in our organisation to adopting the product at all. The finance team love it. My longer term objective is to get all our managers to use it themselves to track and manage their budgets. The main benefits are effective financial management, reporting capability, speedier and more accurate budget preparation, increased productivity and increased reliability. The financial department is far more responsive in its ability to respond to the board, management and government. Are any of these business benefits quantifiable? Time taken to prepare a budget has dropped by 75%. Are staff happy with what you have done? What is the most important thing you have learned in the last year? I learned that if I could allow the people responsible for managing budgets the ability to create their own budgets, and then produce their own reports it would diminish their reliance on me. This would be very useful because most of our work at the moment is in Queensland, but our goal is to move into other states. Our plan is to move into one new state each year. So we are in the process of getting our systems ready for this move and making sure they are scalable. That’s why we are moving towards sharing our operational resources through Microsoft Online Services, with messaging, email, Sharepoint and videoconferencing. That makes us more effective as an organisation. The same thing applies to sharing budget management effectively through wider use of Calxa. This is something we can apply as we move interstate. We are planning to expand into other locations and build our IT support platform to support all our new activities. ACT for Kids is a NFP that provides free services to treat and prevent child abuse. The organisation was started in 1988 and employs 180 staff. There are more than 46,000 confirmed cases of child abuse in Australia each year. That’s almost 1 case every 10 minutes where a child is suffering from neglect or physical, sexual or emotional abuse (often by people they know and should be able to trust). Act for Kids gives children all the skills, care and confidence they need to turn their tiny hearts around and lead a normal life. The organisation is also there for mums and dads, healing the hurt that abuse and domestic violence causes the whole family. * About the Survey: The 2011 Not-for-profit ICT report is the 5th time that the non-profit sector has been surveyed. The latest national survey of just under 1,500 organisations was completed in October 2011 for this report. We love Calxa and have had such a good experience with the DonorTec program. If you know a community organisation that could benefit from a similar donation, get them to check out the program. Healesville Indigenous Community Services Association (HICSA) is one of the latest recipients of donated budgeting software from DonorTec. Connecting Up, also a not-for-profit organisation, provides donated and discounted technology products to Australian not-for-profit groups. Donations and subsidies range from international companies such as Microsoft and Cisco as well as Symantec. The only Australian company currently providing donations is Calxa Australia, who has pledged $1,000,000 of donations of their flagship product, Calxa Premier, to grassroots community groups around Australia and New Zealand. Like most community organisations, budgeting and project reporting is vitally important to HICSA. There are regular reports to the board so that they can clearly understand the current financial situation and there are grant acquittals to be completed for funding providers. Calxa Premier makes this easier by integrating directly with the accounting system and eliminating the need for complex spreadsheets and the importing and exporting of data. It has a range of structured, yet flexible, reports that are understandable to accountants and non-accountants alike. So far, the donations of Calxa software have gone to a wide variety of organisations. Some, like the White Ribbon Foundation and Glaucoma Australia are national organisations with a high profile; some are sporting organisations and arts centres; some are day care centres and aboriginal corporations. The majority though, are grassroots organisations, dedicated to providing support to the communities in which they work – much like the Healesville Indigenous Community Services Association. 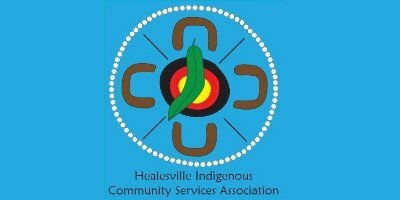 The Healesville Indigenous Community Services Association (HICSA) aims to establish a welcoming and culturally affirming place in Healesville for both Indigenous and non-Indigenous community members. The Purpose – to provide an integrated program of health, well-being, education and employment services for the Aboriginal community within a cultural framework of respect, caring and sharing. 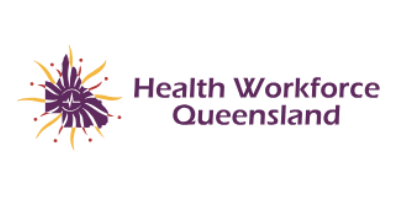 Health Workforce Queensland is a non-profit organisation with its head office in Brisbane that helps support and retain rural and remote General Practitioners working in Queensland. The organisation was started in 1991 by the Department of health and Ageing, and employs 31 staff. Daniel Learoyd, their Manager – Financial Services, participated in the 2011 non-profit ICT report, which identified the difficulties NFPs faced with financial reporting. While most people surveyed agreed that popular programs like MYOB and QuickBooks were good overall, some of those surveyed commented that their needs weren’t being met, especially when it comes to reporting to government funding bodies. We run numerous programs of assistance for GPs working in the bush. Programs provide financial incentives, training and upskilling to encourage GPs to work in rural and remote areas. Rural GPs and their families. We are expanding into allied health service workers as well, because GPs operate as part of a team and all remote health workers need support. Programs are primarily financial, training and support. In the current financial environment, everybody expects more for less. Customers also expect everything more quickly today than they used to. Our GPs need more help too, with training and IT skills. They are time poor and a lot of rural and remote GPs still use manual systems. There have been many developments in online and hands-on training for doctors, including simulation and videoconferencing. SimMan is a portable and advanced patient simulator for team training, which has proved to be very useful, allowing doctors to practice emergency treatment of patients. Government is increasingly focused on improving health treatment in rural and remote Australia and with the increased focus, has come the requirement for more reporting. We have very high level of rapport with the rural GPs. Most importantly, we are trusted. They know we are there to help them and they view us an important support channel. Simply, they can ask us any question about legislation and we take the burden of knowledge in this ever-changing area off them. We keep them informed about all changes in health and regulation. The increased demand for reporting is where it all began. We use MYOB, but we were frustrated with its limited reporting capabilities. We started by looking at our organisation to see what we actually required with reporting. Because we are commonwealth funded, we looked at the sources of government funding and we looked at our operations. In conclusion, we decided it would be best to set up two internal services – corporate services and grant services. Funding comes from three main sources across fifteen different grants. Reporting levels under these grants are numerous. We have to be able to provide hundreds of different views of the data that we gather. Reports could be doctor focused or outcomes focused with selected KPIs against regions, individual GPs, programs and locations. We had to be able to deliver answers to any question we were asked. I provided a paper to the board on our analysis of the organisation and its needs, and one of the main issues was our capacity to report against our funding. After that, I went looking for a solution that would give me the reporting capability I knew we needed. I knew about Money Manager and I looked for other solutions on the internet. We got an evaluation version of Calxa. I discussed our requirements with Calxa over the phone and I could see that it might prove to be the best solution. Following this, I then tested Calxa in accordance with our plan to see that it fulfilled all our reporting requirements. Over a few days, I was able to see that we could create all the reports necessary and I organised a meeting on progress with the board. Finally, my presentation demonstrated the capacity of Calxa to create reports and its flexibility. This was important. Everyone in the organisation manages a part of the overall budget. We try to customise each individual budget to suit the way the managers have to report. I didn’t need to. Calxa was obviously the solution we needed. How did you know who to trust? Calxa has been very good in responding to questions and suggestions. They are continually improving their program. But mostly, they listen to their market and they add new functionality and time saving macros all the time. The program is very intuitive and user friendly. None. We tested the program thoroughly before committing to it. Probably the main risk was not over-complicating what we had to do. We needed to do something about our situation. The reporting burden was too much. Using the program reduced any risks. You can pick it up and use it very quickly. A lot of it depends on the structure that you have set up in MYOB. If you have got that right, then Calxa gives you a highly enhanced reporting capability. I’d say definitely give it a go. You have the data there already in your financial software package, whether you use MYOB or QuickBooks. So see what you can do. You can export you reports in Excel or PDF. Errors are instantly reduced. Demonstration was how I overcame any internal concerns. There were no barriers. The program puts you in control of your data. Cutting down errors, it saves time. It really simplifies the reporting process. The best part, it allows you to automate and manipulate data with accuracy. Cashflow forecasts can be prepared in a few minutes. It is a bridge between MYOB and Excel. Foremost, it puts me in control of my data. I can consider and identify potential problems before they occur. Importantly, it provides the managers and the board with the knowledge to run the organisation with eyes wide open. Simply put, it is a very powerful business intelligence tool. At the end of each month I can save more than two days in reporting. Managers are more hands on. The program is in a central location on a server, but it is dynamic. It allows managers to look at the real budgets as they change from day to day. Now, it provides an ongoing reference tool, so managers can compare their budgets with the overall board approved plan. We run Calxa on a secure remote server, so all managers with access rights can connect to the program and run reports. So, before each monthly finance meeting, they can connect and see the status of each program. They can see what has been spent, what is still to spend and what can be shifted forwards. It means I don’t have to email out PDFs of reports. They do it themselves in our centralised environment and it increases their sense of responsibility and control. Bringing the managers into using Calxa was a most significant event. It allows us all to work together as a team. All managers have responsibility for a part of the operation. Now they can see how it all interrelates and where their program fits into the big picture. We have recruitment, locums and training, and by working together more effectively and transparently, the whole organisation is more effective. Government wants more for less. That is the current mantra. So, managing budgets more effectively demonstrates the capabilities of a program like Calxa. Co-Founder & EO, Pollinators Inc.
Pollinators Inc supports a growing community of social entrepreneurs based in Midwest WA. 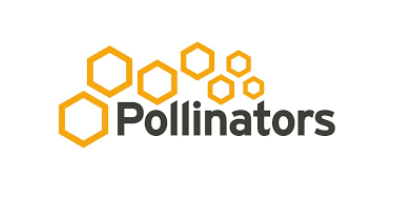 Pollinators is Australia’s only member-based organisation dedicated to supporting social entrepreneurs. Its members prioritise the social impact and community benefit of their ideas & ventures, ahead of personal profit. Since establishment in 2011 it has provided a strong network and community, world-class learning and events as well as co-working space for its members. “it really suits our working style. We have a mix of part-time staff and contractors and our board members travel a lot. Being able to access our accounts from anywhere is critical”. Tracking Categories are used to split income and expenses between business units and funded projects. As a result, this allows detailed analysis of what has happened in the past. Furthermore, it enables, for example, to report on a business unit both with and without grant income. Inventory items are used to classify transactions and analyse profitability further. While Xero is great for accounting and record-keeping, Pollinators Inc were resorting to spreadsheets for budgeting and planning. These rapidly became too complex to manage. They couldn’t be linked to Xero and the complexity of the social enterprise business model made it very difficult to provide coherent reports for use by the board in decision-making. Detailed short-term budgets and a longer 5-year forecast were produced. However, the inconsistent format and the difficulty of managing multiple versions reduced everyone’s confidence in the output. Following best practice, Andrew Outhwaite, Co-Founder and EO, and his team first set out the criteria. So, they stipulated what their ideal solution would look like. Then they moved onto researching the possible candidates. They rejected the Excel-based templates early as they did not solve the data integrity problem, leaving them with a side-by-side comparison of Calxa Premier, Castaway and Plan Guru. He was then able to produce a coherent and accurate operational plan for the coming years. He presented these to the board complete with charts. The process of applying for the software donation on Connecting Up’s website was simple and straightforward. In addition, as Mac users, Pollinators did need to purchase Windows licences (to run under Parallels) but these were easily available through Connecting Up as well. Today, they can use the Calxa Online app on their Mac systems. Pollinators Inc is a member-based social enterprise founded as an Incorporated Association in December 2010 in Geraldton, Western Australia. Being a social enterprise means we operate like a business, generating more than 60% of our revenue from paying customers. Using a mix of earned revenue and grant funding we are able to achieve our social mission and grow thriving regional communities while remaining financially resilient. The process of preparing forecasts is now very easy. In fact the time taken to produce budgets has been reduced by 50% or more. These trends led Stephen Floyd to review the way the organisation managed and reported on their finances. He wanted to provide more efficient and timely reporting to management. The previous budget involved a series of spread sheets. All of which were cumbersome and not easily changed. There were then challenges with transferring and matching data from the accounting system with the budgets. As a result, the reporting and management system that was less than ideal: It was time-consuming to manage, time-consuming to update each month and difficult to respond to rapidly changing needs. Stephen came across the Calxa software on the Connecting Up Donations website, where it was featured as part of their donation program. Reviewing its capabilities he quickly saw that it would be a good way to improve his processes. He downloaded a trial from the Calxa website and was up and running in no time at all. The software was easy to configure and learn and Stephen had no need to contact the Customer Support line. Though, it was a comfort to know it was there, just in case. As a small Not-for-Profit organisation, A Start In Life was able to take advantage of the donation program. They followed a very simple application process and had a full licence ready to go when their trial period ended. Stephen says, “The process of preparing forecasts is now very easy. In fact the time taken to produce budgets has been reduced by 50% or more”. Calxa has brought greater flexibility to the charity’s budgeting process. Especially the ability to develop multiple budgets as change occurs. This provides timely information to management, enabling them to respond quickly to challenges and opportunities. The professional quality of the reports and the ability to easily email PDF documents to the management team streamlines the process. We asked Stephen if he would recommend Calxa to other Not-for-Profits. “Definitely!” was his prompt response. Sydney-based charity A Start in Life has been providing financial support for the educational needs of children since 1923. The economic climate over the past few years has impacted the organisation in two ways: Donations are lower than expected and requests for assistance are up three fold. 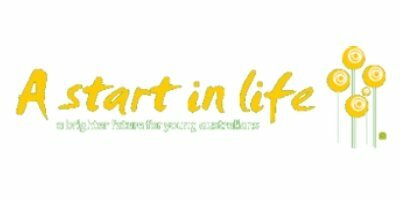 A Start in Life is an Australian charity with over 89 years of experience in providing support to thousands of disadvantaged families. We know that education is fundamental to breaking the cycle of poverty, so we financially assist these families to ensure their children have the access to the same learning opportunities as their peers.